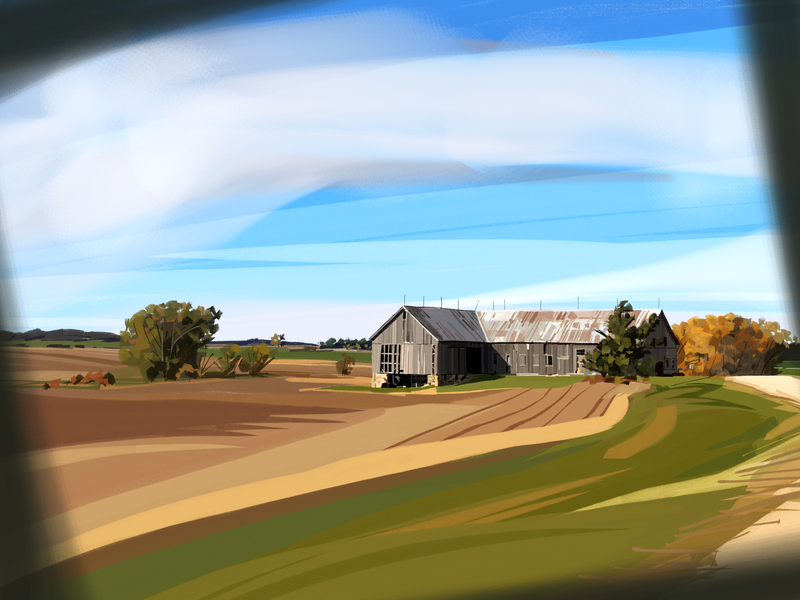 Illustration drawn on iPad Pro 2 with Sketchbook by Susan Murtaugh on Flickr. CC-BY licensed. How long do you think it takes to redesign an iPad? Specifically, how long do you think Apple’s designers were working on the redesign of the iPad Pro that was unveiled in October 2018, three years after the first generation of iPad Pros? 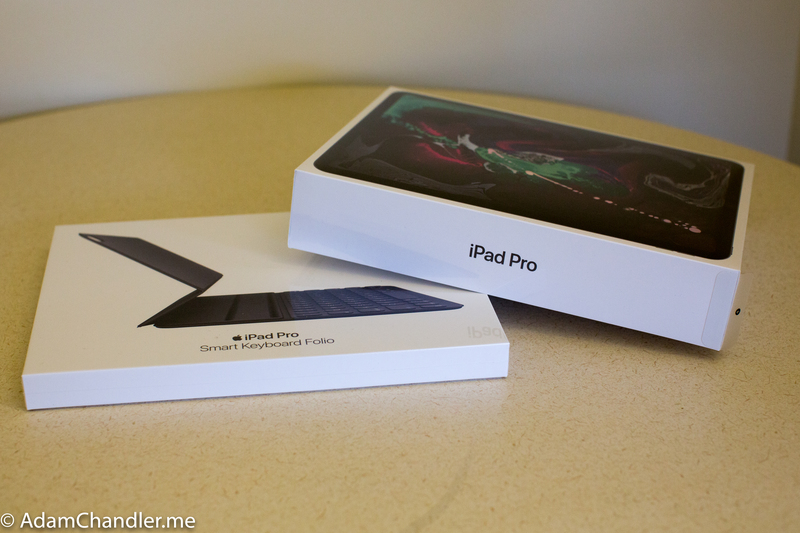 The software roadmap said the iPad OS would get a big feature upgrade befitting the new “Pro” devices. So iOS 12 would be shown off in mid-2018, and then in the autumn (“fall” to you Americans, “spring” to you lovely antipodeans) the software itself would arrive, and soon afterwards the devices – which would really flex their Pro muscles, because the designers knew that the CPU and GPU performance was going to blow standard PCs away. It would all be so easy. Apple’s software teams must have seen very early after iOS 11’s release (that’s late 2017) that there were serious problems which needed deep attention. And so in January 2018 software vice-president Craig Federighi held an internal meeting where he said that plans for the big updates that had been scheduled for iOS 12 were being put off for a year. Instead, iOS 12 would be a “solidify and speed up” release – as happened with MacOS X with the “Snow Leopard” update in 2009. Ah. So now the new iPad Pro design is steaming down the tracks – everything long ago locked in, factories booked, release dates figured out – but, the iPad Pro team mouths in silent frustration, you’re going to hang us out to dry with just these little tweaks rather than the full-fat thing that we were promised? That’s not the ‘Pro’ iPad we wanted to release. “An updated Files app”, huh? I wonder if that, hmmmmm, might have been able to show the files on, oh, let’s hazard a guess, USB-attached drives? And the “same app side by side” feature (ie, you want to look at two copies of the same document, or two documents at once, in an app such as Pages) is something whose absence a lot of people have commented on lately. It’s faintly possible that these leaks about features reached Gurman from people who were on or near the iPad Pro team, and who were trying to send a signal – however faint – to the future about what the iPad Pros that were also yet to come would be able to do. The new iPad Pro: pros use it too. Photo by AdamChandler86 on Flickr. CC-BY licensed. In other words, the reason why the new iPad Pros aren’t “replacing your laptop” just yet is that iOS 11 fell short of what was planned. Rather than ignore that, Apple chose to sacrifice some peoples’ short-term satisfaction with the iPad Pro release in favour of pleasing the much larger population that would be using iOS 12. So iOS 12 is faster on old hardware than iOS 11, and it’s more stable. Both are boons for all iOS 12 users. But this lack of key improvements to iOS 12 in turn meant that the new iPad Pros – introduced in October as “an uncompromising vision of computing for the modern world” – received what we could call a crouching ovation from reviewers. Nilay Patel, at The Verge, wrote a review which is not so much excoriating as exhausted, saying that no matter how fast the hardware is, “it’s still an iPad”. This is true, but I think we now have a clearer idea why it’s “still an iPad”: because the software got delayed. Probably there are some people down there in the iPad team dreaming about What Might Have Been. But Apple’s in this for the long term. A delay of nine or 12 months isn’t relevant here. What’s the concern? PCs will make a comeback? Windows detachables or ChromeOS detachables will take over the world? Nope. I agree with this; I didn’t adjust to using an iPad fully until I had to, but then found the switch pretty comfortable, to the extent that I now pick up the iPad in preference to my (much heavier) MacBook Pro when going out because I know I can do all the things I need to do with it: between Scrivener for writing, and Pythonista and Workflow/Shortcuts for knocking together ad-hoc scripts, I can get done what I need on the hoof. Update: if you’re looking for more ways to Get Things Done on an iPad, I recommend Federico Viticci’s archive of Shortcuts over at MacStories, which have downloadable ways to do all sorts of things – 89 at present – which includes zipping and unzipping files, scheduling, reminders, etc. OK, but. There have been some reasonable criticisms of the hardware. Patel points to the lack of a 3.5mm headphone jack – “a curious omission, since so many iPads are used essentially as televisions, and so many pro media workflows demand low-latency audio monitoring”. This is a good point, though I think the “used as a TV” one is slightly stronger than the latter. Clearly, Apple is trying to drive people towards AirPods on the consumer side. For professionals, though, you can get a USB-C hub from places like Hypershop which will offer you a 7-port dongle for $80 which includes a 3.5mm headphone jack, USB-A and Thunderbolt. You’d hope that somewhere in there you’d be able to find a port you can hook into for professional production. Patel also points out the files thing (you plug in a hard drive via USB, it doesn’t show up). Could it be this got pulled from iOS 12 in that January software reset? Does that mean the hard drive will show up in iOS 13? Well, never say “definitely”, but I’d think the chances were good. This isn’t my iPad. But look – emacs! Photo by Tatsuo Yamashita on Flickr. CC-BY licensed. Except I have to say – I like working on the iPad Pro. I’ve been using it since the first generation. I tend to feel that these days if you have tasks which require putting physical plugs with hard drives into a computer, then they’re either quite antiquated tasks, or very specialised ones. The hard drive non-appearance is clearly an obstacle to Getting Stuff Done. Although can I say.. I don’t miss external hard drives? There’s a gajillion places you can store stuff for free in the cloud (iCloud, Google Drive, Dropbox, OneDrive, I’ve barely begun) and you don’t have to wonder if today is the day the drive is going to die. From time to time I back up my Mac using SuperDuper!, and nowadays doing so feels like a strange chore transplanted from the past, like sweeping a chimney or shoeing a horse. My iPad’s files just back themselves up while I sleep. So if you need a hard drive – really need it – then either your workflow hasn’t adapted to the fact that we’re in a multi-screen world, or you need the extra heft that desktop/laptop processors can offer. And that’s fine! Nobody is going to look down on you for having a job like that. Quite the opposite. But equally, I’m going to discount the “use case” of watching a film or listening to music that’s stored on an external hard drive for pleasure (rather than work, ie video processing or other functions), because these days that’s a smaller and smaller use case, in the west at least. We have streaming video services and streaming audio services streaming out of our whatevers, and we can download those files to our devices when online to view while offline. Also, what sort of monster watches a film on their PC rather than on a TV? As for plugging stuff in – printers? as Steve Sinofsky pointed out, “printers have been wireless for a decade”. It’s almost perverse to physically plug a computer in to a printer. I just don’t. What Patel’s examples say to me is that the interface between the old world (PC form factor, saves to external hard drives) and the new world (phone and tablet form factor, saves to cloud) isn’t sorted out. It’s still too hard to get stuff from the old world to the new, like some interdimensional portal plot device in a sci-fi film. So here’s what Apple could do to stop those “well, it’s an iPad, isn’t it?” reviews. • First, the hard drive thing. But that might be coming anyway. • Second, implement second screens – properly. At the moment, though you can plug in a second screen, it only mirrors the first rather than extending the desktop. • Xcode on iPad. If you want developers to adopt this thing wholesale, you need to enable them to write apps on and for it. The iPad Pro is definitely fast enough. I’d love to know what’s holding Apple back from doing this; rather as in the early 2000s it had MacOS X on PowerPC and also Intel, it’s sure to have versions of Xcode running on iOS and/or the ARM architecture. If there’s one thing developers keep asking for, it’s Xcode on iPad. But you need the other parts too: proper hard drive access, proper second screening. The simple way to make this happen would be for Apple to dogfood it: force the iOS team to work on iPads. This however is a chicken-and-egg situation, with the added problem that you start with a chicken which can’t even lay an egg. I think we have an inkling that Apple was going to have done this by now; except, for reasons we don’t know about, it didn’t. And though this is something we hear each year, perhaps Xcode is coming to the iPad – or the A-series chip – with the next release of iOS. But even if it doesn’t, you know what? The iPad Pro is a pretty remarkable platform for a lot of work. Apple released its fiscal fourth-quarter results (calendar third quarter) to the end of September on Thursday. So following up on my post from earlier this week, here’s what the data tells us about that period – which already feels like it’s in the rear-view mirror, what with the iPhone XR and new iPads and Macs having been launched just in the past couple of days, mid-quarter. But analysing the effects of those is going to be more difficult than this: Apple announced that it’s no longer going to provide unit sales data. We’ll only have revenues for iPhones, iPads and Macs. This is being interpreted as an attempt to hide bad news that’s surely on the way for unit sales; Apple isn’t happy about this interpretation, and insists that its user base is growing, and that a focus on unit sales – the horse race – distracts from what’s really going on. It wants people to look at the growth in (high-margin? We’ll find out because it will reveal, next quarter) areas such as Services. Anyway! On with the graphs. First, average selling prices (ASPs). Shed a tear, it’s the last time we’ll be able to do them like this. Next, the divisional revenues. Note how Services is definitely the second-biggest. And let’s see the hardware v services breakdown more clearly in the next two graphs. First, just broken out. And now – apologies for its slight lack of clarity – the growth in Hardware (on the left axis, in purple) v Services (on the right, in brown). Services is growing faster than Hardware. Now: the overall picture of products sales. Again, we’re not going to be able to do this again, so feast your eyes. And look at how FLAT everything is. Unit sales growth has stopped for the past two years. And next we have operating profit (green) and revenue (orangey). The gap is actually growing: Services seems to be less profitable than Hardware, as we knew. But both still trending up. Now some more detail on the iPhone. Look at that uptick in ASP! And look at how flat sales are on the 4Q moving average. The growth has gone out of the market overall; global smartphone sales were actually down 6% in this period, so Apple actually grew its share by standing still. The iPads too: Apple owns the tablet market, but the tablet market is well past its peak. How about Macs? Sales are once more flat (the line with dots), ASPs are up. That ASP line will probably go up next quarter – though we won’t know exactly how much. But if you look at it as a percentage of hardware revenue, inventory is really high. REALLY high. Heading up to 2%, which implies lots of things sitting in warehouses. I’ve had a look at Apple’s filings, and it doesn’t break down inventories into raw goods/work-in-progress/finished, so we can’t know if that’s self-driving cars being built or the iPhone XR (then unreleased) sitting in Chinese factories. Probably the latter, mostly. As to the future: research and development spending. Look, it’s up! And as a percentage of revenue, it’s also at a historic high. This either balances out the inventory stuff, or is somehow caused by it. Finally, the geographical breakdown. The Americas (particularly the US) is driving this, but notice how things are slower in China and the rest of Asia. Europe generates more revenue than China; there’s no sign of that changing in a hurry. Apple’s hope that China would become its No.2 source of revenue seems to have been dashed. And that’s it! Comments welcome, including suggestions for the colours. I may redraw these so that the lines are more clearly labelled, but will leave the text alone. On Tuesday Apple’s holding a big event in New York – 10am EST, 2pm GMT (which we’re now on in the UK). And then on Thursday it announces its financial results for the quarter to the end of September, which marks the end of its financial year. With many thanks to Dr Drang, I’ve been shuffling Python for the past, oh, a while, using Pythonista and its included matplotlib, plus of course Apple’s financials, to put together some graphs showing what the story so far – that is, ahead of its financials – are. When we have those, I’ve also got a Python script that will scrape the PDF (yes it will! Unless they’ve changed something and begun to break out Wearables revenue or Apple Watch sales, which would be both good and bad) and update the graphs. So we get two bites of this particular charticular cherry. So here are the graphs, in an order that I think makes a vague kind of sense. Every one tells its own little story, I think. Graph 1: ASPs for hardware. The little blobs are – if the legend isn’t clear enough – the data point for the year-before quarter, so when we’re looking at the end of the financial 3rd quarter (FQ3, as here) then it shows FQ3 for previous financial years. In all these graphs I’ve gone back 40 quarters – 10 years – unless there isn’t the data to support it. I figure 10 years is enough to get a view. Of course we don’t know what the ASP for the Apple Watch or various doodads such as Beats headphones are, but these are the big-ticket items that Apple sells. The general story? Look at how the iPad ASP keeps getting beaten down. And look at how the iPhone ASP has looked perky in the past four quarters. Ditto for the Mac, though it’s only at the level it used to be after some years when it fell regularly. You can’t see any effect from $5,000 Mac Pros in there, can you? This shows how the iPhone dominates everything, of course. But look too at Services – which began outstripping all other hardware back in FQ2 of 2016 (ie early in 2016) and apart from a brief attempt by the Mac around Christmas 2017, hasn’t looked back. More people subscribing to Apple Music, more people paying a little bit for iCloud; it adds up. This is the same story, but showing you how little (if you like) services are. I think it also shows that bar graphs are bad at illustrating data, especially when you compare it to the one above and the one below. At the suggestion of Kevin Marks, I’ve redrawn it so that Services are on the bottom – which I think shows its rise and relative size well. Another view of the main hardware lines that we know. It was a form of this graph by Dr Drang that got me interested in plotting all this stuff. Notice that big bump in the iPhone moving average in 2015, caused by the huge sales of the iPhone 6 (with the large screen) at the end of 2014. Ben Thompson makes the point that the introduction of the big screens pulled forward a ton of purchases, but since then it seems to have settled into a steady state, albeit yo-yoing hugely by a factor of nearly 2. The iPad meanwhile had its day of glory but is now settling into a sort of respectable middle age. 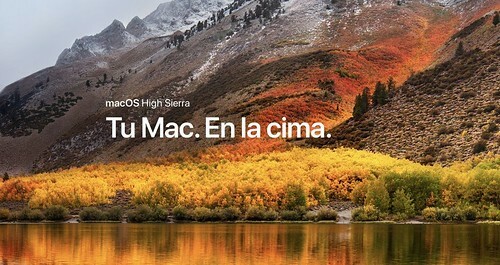 Unless, of course, Apple comes up with something dramatic on Tuesday. An iPad Pro that can appeal to would-be Mac buyers? Except it gets more money from Mac buyers. (See the ASP graph at the top.) Or are iPads better for Apple because they create more services revenue? Hmm. Macs, meanwhile, chug along, not varying much on this view. Another twin-axis graph, where the aim is to show trends in overall profitability. You might expect that if there’s more Services business, Apple would make more money – that’s usually the trend in services – but the widening gap between the two lines (Revenue, in orange, is going up faster than Operating profit, in green) suggests otherwise. Maybe it really is better to sell stuff you can drop on your foot. Based on this, the best profitability was from late in 2011 to the end of 2013, when the Op Profit line is “above” (relatively) the revenue line. That’s the iPhone 4S/5/5S era. Putting both sales and ASP onto a single graph reveals something: although average sales are steady, the ASP is going up, quite sharply. (Neil Cybart has also pointed to this recently, and thinks it’s due to aftermarket iPhone use – people sell their on, or give to a relative, and then go out and buy a shiny new expensive one.) Again, is this going to continue? There’s no obvious reason why it shouldn’t – though Apple might need to worry about people deciding not to upgrade at all. As for the strange low iPhone ASP at the 2008 mark – Apple used to have a strange accounting method which depressed the figure. It’ll disappear with the next set of results. So now, the Mac. What’s Apple going to do about the MacBook Air? And the MacBook? The data here show contrasting stories: ASP is going up (yay!) but sales are trending down (boo!). What is the product that will get those people who have been sitting on their hands to come out and buy? Clearly, the iMac Pro hasn’t had a big effect on sales (though maybe it juiced the ASP). For the same reason, don’t expect the Mac Pro to make a big impact on this graph when it appears in a few quarters: laptops are more than 80% of Mac sales. 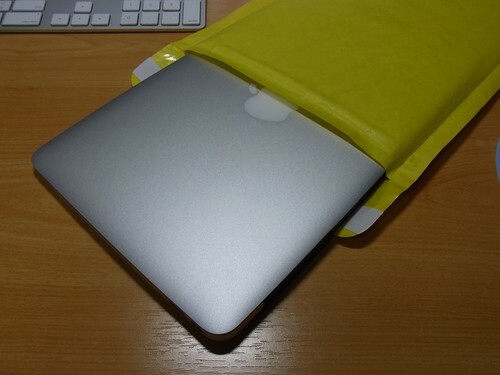 To me the answer seems to be: come up with an even more attractive MacBook Air. Price it about the same. Give it a retina screen. That’s about all you need. Oh, and a “professional” Mac mini of course. Who could forget that? Starting to dig in to the weeds a little now. Inventory is “stuff you’ve got sitting in warehouses and haven’t sold to carriers or other middlemen”. You can see how it jumps each year, but it *really* jumped by the end of the first (calendar) quarter of 2018. In general, the more stuff (especially different items) you have to sell, the bigger the inventory figure. So let’s get a clearer idea of what’s going on: what if you look at inventory as a percentage of hardware revenue? 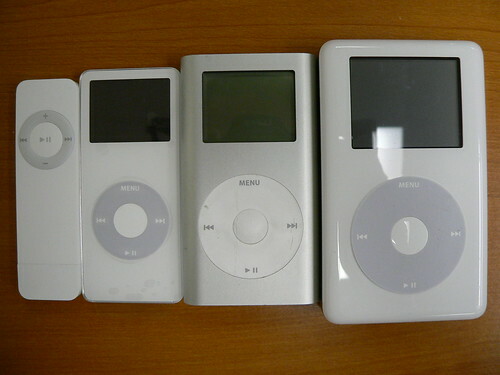 Hmm, so for years Apple was really good at handling this: inventory was less than 1 PER CENT of hardware revenue. Then in 2016 – Apple Watch/band time? – it bumped up. And though it keeps going down beneath that 1% number, the trend seems to be up. Tim Cook hates inventory: he likens it to milk, which can go off. There probably aren’t many MacBook Airs and old iPad Pros in that inventory number (we’ll have a clearer idea of how well it planned after Thursday’s financials). So why is it so big? Well, one possibility is that some of this inventory isn’t stuff that will get sold any time soon. “Inventory” isn’t a block; you have “finished goods inventory”, “work-in-progress inventory” (ie it’s being put together) and “raw goods inventory” (just parts on the floor). I think Apple does break this out in at least some of its SEC filings, so might have a closer look separately. The balance of finished-v-WIP-v-raw can tell you a lot. Research and development! It’s going up! This is probably not a surprise. Heading towards $4bn per quarter, which strikes me as a lot of money. What if we try the same thing as with inventory, to look at how R&D has shifted with revenue? This obviously jumps around somewhat; the line to look at is the moving average, The dip in 2011-13 is interesting (and unexplained by anything I know about). And now? It’s zooming up – self-driving cars and augmented reality glasses, right? China zooms up in 2015 – there’s the iPhone 6 effect again – but then falls back quite dramatically, so that Europe has now overtaken it again for the past couple of years. It’s possible that all the expectations around China were misplaced. It’s big, but its growth is only as strong as Europe unless something dramatic happens next quarter. But even that would only be a quarter, not a trend. The Americas, meanwhile, are zooming ahead. That’s where the strong growth seems to be. But let’s check back in a few days! One note about the graphs: you’ll notice (now I mention it) that I haven’t used any “percentage change” graphs. I tried a few experimentally, but it turns out they just look a mess. Using the TTM/4Q moving average (same thing) gives you a clearer idea of what’s happening, and picking out the corresponding quarter does the job of telling growth or shrinkage pretty well. Percent growth has its place, but I didn’t find it to be on any of these graphs. A selection of 10 links for you. Anything on today? I’m @charlesarthur on Twitter. Observations and links welcome. Facebook was loath to ban [Infowars’s Alex] Jones. When people complained that his rants violated rules against harassment and fake news, Facebook experimented with punishments. At first, it “reduced” him, tweaking the algorithm so that his messages would be shown to fewer people, while feeding his fans articles that fact-checked his assertions. It will hardly be the last quandary of this sort. Long, but well worth your time; especially for Bill Gates’s Greek chorus-style interjections, and observations such as “Facebook has more adherents than Christianity”. The only domestic commercial bank in the country is now “at risk of losing its last US dollar correspondent banking relationship (CBR) with a US-based bank,” due to tightened due diligence across financial institutions in the US. The IMF argued that the introduction of a cryptocurrency as legal tender may backfire, if a lack of comprehensive anti-money laundering measures eventually leads to the US bank cutting ties with the country. The attorney general signaled his interest in the matter in a public filing that indicated the office had retained an outside law firm to assist in an investigation. The document, dated Aug. 21, said the hired lawyers would help probe an unnamed tech company and its “storage of consumer location data, tracking of consumer location, and other consumer tracking through . . . smartphone operating systems, even when consumers turn off ‘location services’ and take other steps to stop such tracking,” according to the heavily redacted public notice. Ooh, a fine. That’ll so hurt. Facebook and Snap’s pre-IPO NVM was set between 3.5 x 10^-7 and 19.8 x 10^-7. Based on these benchmarks, token adoption would need to increase by a factor of 3000x to justify today’s prices. Again, the fact that social media is well ahead of crypto in the technology adoption curve can justify a higher valuation multiple, but not by an order of magnitude when discussing assets valued at billions. Given the gap between current valuations and the level of utilitarian adoption, I politely disagree. Singh was a very reliable predictor in the smartphone space. So I’d lean on him being right here. The excuse that Twitter holds up a mirror to wider society is hogwash: it has consistently and with an outstanding level of ill-judgement given a platform to and cultivated people with utterly reprehensible views. In the end, I decided that Twitter doesn’t deserve my attention. I couldn’t, in good faith, support a service which cares so little about the culture around it, that does nothing to be a positive influence on society, which which sees the rights of little lost boys to abuse women as more important than the rights of women not to be abused. ”410″ is web code for “not here” (but also not “moved”). I’ll miss him: he first pointed me to Horace Dediu’s work, among others. Like many other Apple Watch users, I got an email from the company asking if I would be willing to participate in the Apple Heart Study, a large data-gathering exercise they and Stanford University were partnered in. Sounded right up my alley. I installed the iPhone app and then promptly forgot about it. Needless to say, I felt rather alarmed by this. I followed the app’s instructions. When I clicked on “Call a Doctor” I was immediately patched through, via FaceTime video call, to one of Stanford’s cardiologists. We discussed the results. While they could not be absolutely certain, there were indications I might have Atrial Fibrillation or “Afib”, which is a common form of heart arrhythmia that affects tens of millions of people. It often goes undiagnosed, because in many cases, it is paroxysmal in nature — it comes and goes, often set off by “triggers” such as by the use of stimulants, alcohol and other substances. But sometimes it just plain happens. It’s not the kind of thing that comes up in an EKG unless it is actually happening when the test is occurring. 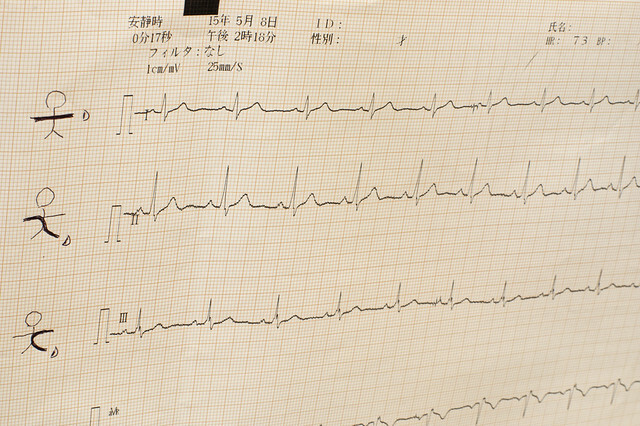 I’ve had EKGs a number of times, and there was never any indication anything was wrong. Unsurprisingly, he’s now wedded to it: the warning was correct. He lost 160lb (72kg). For most people, to lose that much weight would mean there wasn’t anything left. American diets, eh. That’s according to Apple analyst Ming-Chi Kuo, who issued a research note seen by CNBC on Monday. 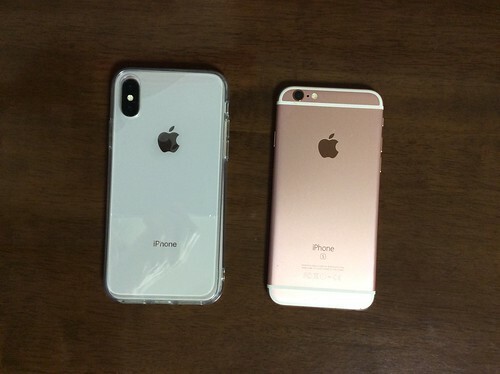 The note said that the ECG “will attract more users.” Kuo is known for having a particularly strong track record for predicting updates for Apple products. Assuming Kuo is correct, Apple releasing an ECG is a big deal for people with certain diseases. But it’s also complicated because the company would need to figure out how to communicate sensitive medical information to consumers without freaking them out. The last thing Apple would want to do with its device is send tens of thousands of anxious users into the emergency room thinking they’re having a life-threatening medical problem when they’re not. 1) Will Apple need approval from federal regulators? It depends. If Apple shows the ECG reading to a consumer, then yes. That would make the Apple Watch a regulated medical device. But Vic Gundotra, CEO of AliveCor, a start-up making big waves in the space, sees another path. He suggests that the company could use the ECG to get more accurate heart rate data, which wouldn’t necessarily require an approval process. That’s because Apple might not want to take on the risk of providing erroneous information back to a user. ”Is Apple ready to take on that kind of liability? I doubt it,” he said. If Apple decides to go down the regulatory route, the company faces another decision. It might need to the green light for its ECG sensor as well as the algorithms that sit on top of it that provide feedback to users (“abnormal” or “normal”, for instance). AliveCor did that, so we know it’s possible. As Gundotra recalls, the FDA approved both the algorithms and the hardware at the same time. Gundotra, of course, is the ex-Microsoft, ex-Google guy (famous for tweeting about Windows Phone tying up with Nokia that “two turkeys don’t make an eagle”). Farr seems awfully confident about the ECG facility. The best users of Shortcuts could end up doing more with their phones without being on their phones as much – leaving them with more time for the actual reporting. One very handy Workflow I’ve been using extracts the audio from a YouTube video as an MP3 and saves it to Dropbox, which would normally be quite a cumbersome and time-consuming procedure. All I needed to do was save it to my Workflow app (as I don’t have access to Shortcuts yet), open a YouTube video in Safari and tap to run the Workflow extension. Within seconds, the audio was sitting in my Dropbox folder ready for me to use. And with the help of Nick Garnett, the éminence grise of mojo at the BBC, we adapted this flow so the final destination of the audio was as an M4A into the BBC’s own PNG app. Always being aware of the copyright aspects of extracting the audio from someone else’s video on YouTube, this could be fantastically useful for any mobile journalist. You can even make your own flow of actions using the drag and drop interface but that may well be the domain of the adventurous. 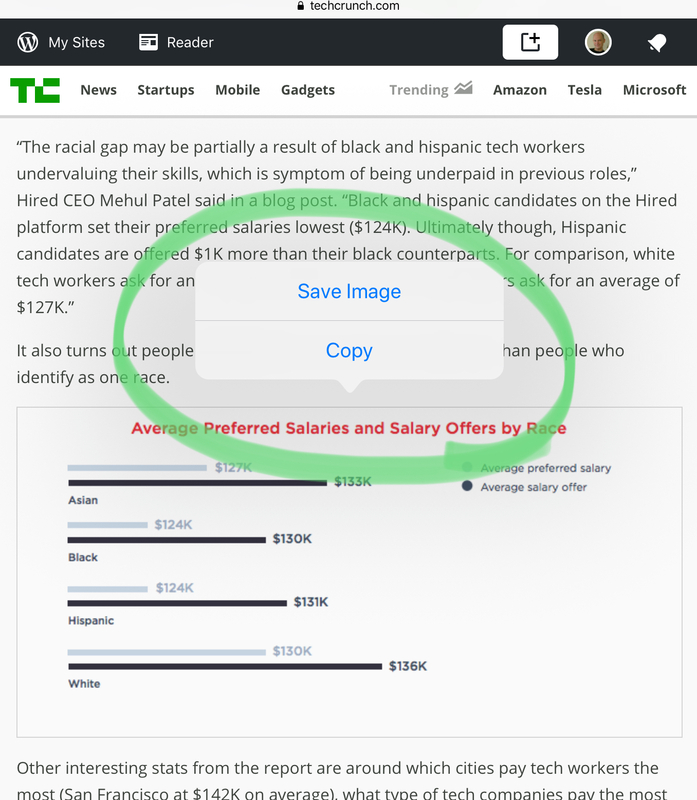 Some of my colleagues in the mobile journalism world are already doing this, which means that the more collaborative among us will soon be sharing our own Shortcuts to help everyone work more efficiently. Apple’s integration of Workflow into iOS opens up possibilities which would previously have been off-limits even to the most experienced user of the app. This is because iOS can gain access to system-level processes, such as Find My iPhone, Apple Pay or Low Power Mode. With the last one, for example, there can be an action to toggle on and off. So expect to see your apps going big on Shortcuts by offering suggestions to get the best out of the app as well as an “Add to Siri” option. It’s likely too that before long there’ll be individual apps that collect the best Shortcuts more generally. He’s also keen on the changes to Voice Memos, because of their applicability to journalism and recording. A RiskIQ researcher analysed code from BA’s website and app around the time when the breach began, in late August. He claimed to have discovered evidence of a “skimming” script designed to steal financial data from online payment forms. BA said it was unable to comment. A very similar attack, by a group dubbed Magecart, affected the Ticketmaster website recently, which RiskIQ said it also analysed in depth. The company said the code found on the BA site was very similar, but appeared to have been modified to suit the way the airline’s site had been designed. ”This particular skimmer is very much attuned to how British Airway’s payment page is set up, which tells us that the attackers carefully considered how to target this site instead of blindly injecting the regular Magecart skimmer,” the researcher wrote in a report on the findings. Hacks like this make use of an increasingly common phenomenon, in which large websites embed multiple pieces of code from other sources or third-party suppliers. At a time when people are buying fewer new phones, bigger size brings two advantages. It helps Apple buoy prices and profit margins because it can sell larger phones at a greater markup than it pays suppliers for the larger screens. And it encourages people to use their phones more, helping momentum of Apple’s services business, which includes app-store sales and subscriptions to video services like Netflix and HBO. Users with smartphone screens 6 in or larger, like Apple plans to launch this year, typically use twice as many apps as those with 5.5in screens, such as those on the largest versions of the iPhone 6 or 7, said Kantar Worldpanel, a market research firm. Users of the larger devices also are 62% more likely to play games, and twice as likely to watch video daily as people with smaller screens. …Some 6.5in OLED devices also will be able to use two SIMs, a microchip that allows smartphone users to connect to a wireless network, allowing travelers to access overseas wireless networks more easily. The feature will allow Apple to keep pace with competitors in China, where dual-SIM phones are popular. The dual-SIM element is in many ways the most interesting: how will it be implemented? Physically or virtually? Also, the 6.5in screen will have more area than the Galaxy Note 9. Quite a bragging point. When I’m giving presentations about Cyber Wars, I often include this picture in a slide. It shows the character Hermione Granger in one of the Harry Potter films opening a door by saying the spell “Alohomora”. Hacking, I explain, is the search for the spell that will open the door. Not a physical door, generally, but the “door” into the target computer so that you can make it do what you want. I think that the resemblances go deeper, though. The wizards in the Harry Potter novels are all hackers, in one way or another: they’re using their skills to make something that doesn’t ordinarily happen (levitating feathers, say) occur. Like hackers, they range in ability, from the most basic “script kiddies” following instructions handed down by their seniors – basically, the classrooms where the first-years learn to incant “wingardium leviosa!” – to the people working at the limits of what’s known, good or bad: think Voldemort and his groundbreaking approach to not dying, or Dumbledore and his research (pre-Hogwarts, I think?) into various types of magic. This might seem like an overcooked metaphor to you, but there’s an important question in the Harry Potter universe which isn’t directly answered in the books. It’s this: where do spells come from? And the related question: can you invent new ones? This relates to hackers, because if wizards can invent new spells, then they’re exactly like hackers, who are always searching for new ways to break into stuff – think Heartbleed, Meltdown, Spectre, Shellshock – even as they rely on older tried and trusted methods, such as SQLi and buffer overflows, the “Alohomora” and “Accio!” of the hacking world. JK Rowling never deals with the question of where spells come from in the books. But this doesn’t mean that she hasn’t left clues or that we can’t tease out the truth about it. Rowling famously plotted everything in great detail, but just as she doesn’t deal with where spells come from, she doesn’t deal with what makes a wizard, well, wizardy. So let’s move on to spells. We know that there are lots and lots of spells; the children are taught them, at tedious length. It’s clear too that some adults have access to levels of skill in applying spells that the children can’t perceive; think of the fight (best shown in the film) between Voldemort and Dumbledore in the Ministry of Magic, which for my money is the best sequence of all the films. There’s your proof: in the Harry Potter universe, wizards can indeed invent their own spells. The potential is literally unlimited, bounded only by what they can imagine and find to do. That is, spells are not the same as, say, laws of physics or chemical elements. Spells are human – well, wizard – creations rather than natural phenomena. In this way, Harry Potter wizarding is exactly like hacking. There, people try to find new ways to get computers to do stuff that nobody had expected. You mean that when you demand more data from the input buffer of a TLS server, it gets read and sent back? Sure – that’s Heartbleed, which seems to have been discovered at least three and possibly four times, if you include the two final times that led to its public disclosure. (One of those pre-discoverers is thought to be the US National Security Agency.) Who would have thought to ask that? Who would have thought to try “sectumsempra” as a fighting curse? (In the book, it says that different versions of the word have been written and crossed out before the final one is left. Which leaves you wondering how the previous versions were tested.) Trial and error plays a huge part in hacking too: trying combinations, trying different things, guessing, intuiting. And if you’re lucky or talented or both, you’ll get results. We can also see that the Potter world is striated rather like the hacking world. At the base level, you have the script kiddies (OK, spell kiddies): carrying out commands without really knowing quite how they work, but pleased with the effect. Then there are the professionals: people who are using these techniques to get things done, and will occasionally invent their own methods to get around limitations that block them. For the most part, though, it’s the careful refinement of existing processes – think of all those people in the Ministry of Magic doing magic gruntwork. Think too of the commercial hackers rewriting a piece of ransomware to take account of the new defences put up against them. At a higher level still you have those who are using more sophisticated versions of these skills for personal and political ends. Of course we’re back with Dumbledore and Voldemort. What doesn’t vary, though, is the general requirement to explore the capabilities of the systems involved, and in that you’re talking about the same sort of approach. Creating a Horcrux to defeat your enemies? Developing a virus that will wipe every computer on your target’s network once you’ve exfiltrated all their email, spreadsheets and a number of unreleased films? Pretty much the same process: a certain amount of education, knowledge, research, non-live testing, and then implementation. One point about this metaphor is that we’re used to thinking of Harry Potter and his ilk as the good guys, the white hats, the nice ones. This is true enough if you think that most wannabe hackers go on to be “white hat” players, defending systems from attack from the Hogwarts first-years. (It’s also disconcerting if you take this approach, because a significant number of systems are hacked by people whose hacking skills are comparable with Neville Longbottom rather than Hermione’s.) When you think of Potter creating “Dumbledore’s Army” in “Order of the Phoenix”, just recast it as a password-protected online hacker forum where a bunch of script kiddies are trading methods to break into commercial systems. When thinking about real-world hackers, it’s useful to consider that some people are very highly skilled – wizards, almost – and that their ability to use the hacker equivalent of the Imperius spell to subvert systems you thought you could rely on means you might not even realise that they’re inside. Certainly that was the experience recently of Dixons Carphone, which in June said that it had discovered that hackers had been inside its systems since the previous July. Eleven months? That’s pretty dramatic, and embarrassing for those who were meant to be guarding the perimeter, and the inside. One could go on extending this metaphor: Azkaban prison is like any old prison. The Dementors are the plain old law enforcement, taking away your soul – well, computer – and leaving you as good as dead. House-elves are perhaps Internet of Things devices (which would explain why they occasionally cease obeying us altogether when a hacker comes along and gives them different instructions). Other suggestions of metaphor extensions – for dragons, goblins, and other members of that universe – are welcome. And meanwhile, although there isn’t any discussion of Harry Potter and hacking in my book, there is plenty about hacking topics. See the links at the top. “Your Mac. On top”, according to the caption. But it might also be a source of confusion at the Genius Bar. Photo by tua ulamac on Flickr. I wrote a while back about the problems I had with my 2012 retina MacBook Pro, and its strange shutdowns – which I suspected, but couldn’t absolutely prove, were due to the graphics card problem that these models have been known to suffer from: when the discrete graphics card was activated, there was a chance it would go completely off the rails. Finally it shut down and didn’t seem to want to start. At that point, I turned over to using the iPad Pro full-time, which is another story. You might find it entertaining. The only way to absolutely prove that the problem with the computer was the graphics card, of course, was to take it to a Genius Bar. After eventually getting an appointment (the Mac Geniuses are rare, compared to the iPhone/iPad Geniuses), I turned up with the rMBP which I’d left for dead. Of course the first thing it did when the guy plugged it in was to start up and happily proceed to the login screen. Talk about embarrassing. I logged in. All seemed OK. But we were there for a Genius appointment, so we were going to do that. He restarted, booted from a network drive which has Apple’s Mac OS9-style hardware test, and gave it a once-over. 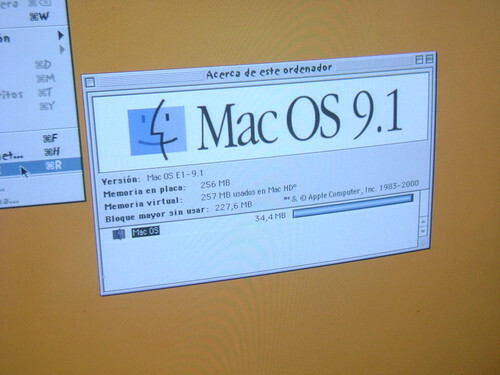 Mac OS 9: if you take your Mac to get Geniused, you’ll probably see a screen that looks something like this. Photo by Rodrigo Vera on Flickr. The checks all looked OK, except for the VST – video system test. That didn’t work – it said it couldn’t find the relevant drivers (which it looked for on the hard drive). So he ran Disk Utility off the network drive to see whether there was something wrong with the hard drive. (rMBPs from that time all have SSDs.). At this point things got very confusing. Disk Utility showed that there were two drives – an SSD with 500GB capacity, and another also with 500GB capacity. One of them seemed to be called Macintosh HD, and the other seemed to have partitions such as “private” and “mem”. So yes, it was time to wipe the drive and reinstall everything. Thankfully the Wi-Fi in Apple Stores is really fast, so you can get your OS reinstalled quickly. Everything seemed to be going fine. I hung around, knowing that all the important stuff was backed up either in the cloud or on the backup disk. For fun, because I knew that it would take forever on our super-slow broadband, I decided to re-download my iCloud Photo library. All 16,800 or so of them. Look, the Wi-Fi’s free. The photo download was fast. Everything seemed to be fine. The machine wasn’t crashing. I was now starting to question myself: was it really just something scuzzy on the hard drive? BAM. The machine shut down, just like that. It had been nothing to do with the hard drive or the OS. As I thought, whenever the discrete graphics card was called on to do something, it knocked the machine out. Some more consultation, and another Genius. More network booting, and this time the video test seemed to indicate that, ehhhh, the video card might not be in good shape. Anyhow – they took the machine in and replaced the entire logic board, and they did it under the guarantee (even though that had run out a little while earlier). In my case, the problem had gotten much worse after I got the battery replaced in November 2017; possibly doing that disturbed the logic board and the card’s connections, and led to a cascade of trouble. So what’s the solution? Apple obviously needs to implement some network drives formatted with APFS. Which might mean an overhaul of how it does some stuff in-store; but it should expect that there are going to be more and more people coming in with machines that are APFS-encoded. Getting the hard drive back to status quo ante took an afternoon or so. The one thing that’s not working? Can’t get my old Time Machine drive (which is of course HFS+ because Time Machine hasn’t moved forward to APFS yet) to believe that the new machine is essentially the same one. If I try to run a backup, it thinks for 12 hours or so (it’s not an SSD backup drive) and then declares that it’s going to need vast tracts of storage. I’ve tried command-line invocations (yes, I’ve read the manual for tmutil) without success. Strangely, I am apparently able to restore files from the drive; I just can’t put fresh ones onto it. But that’s not a huge problem, because I have hardly any files that live exclusively on my Mac – doing so seems like a liability, and a self-inflicted handicap in these days of cloud synchronisation via iCloud and Dropbox – and the very few that there are can be handled by SuperDuper!, which does bootable backups (yes, even of APFS). Oh sure, you’re wondering: what’s it like being back on the Mac after weeks exclusively on the iPad? Three key things: it’s damn heavy; I can type a bit faster; the screen (15in) is really big, which makes it feel like all the fonts are gigantic and yet can fit stuff onto the screen. More generally, I find it easier to get distracted on the Mac. There are pings from emails, there’s the time spent waiting for the newsreader to load articles or web pages to load, during which one may decide to go and look at another app (email, Twitter) and get lost in that, breaking the flow of whatever I was doing before. I’m much more focussed when working on the iPad – I can go most of a day without looking at email, which is how I like things to be, unless it’s VIP email, in which case I get pinged. Also, I don’t get spinning beachballs on the iPad. Sure, it’s newer and it’s doing less simultaneous processing, but even so, as a user interface experience, Beachballs Are Bad, and one notices them even more when returning from a platform where you never, ever see them. But anyhow, if your Mac does break down, and you’re on High Sierra, make sure to tell them if you’re on APFS when they come to the diagnostics. And if they tell you that you need to wipe your drive and start again, just make sure to ask them: “are you certain it’s that, or could it be your network drive can’t read the APFS file system on my machine?” It can’t hurt to ask. I regret that I’m ill. Regular posting will resume once I’m better. My apologies. That was, as I say, a couple of weeks ago. Since then I’ve been doing everything I’ve done on this iPad – a 12in iPad Pro, with Smart Keyboard. That means email, writing articles for papers, editing chapters for my book, composing The Overspill’s daily Start Up post, and so on. A few years ago, this would probably have been impossible. I wouldn’t have contemplated it. Now? Getting along fine. 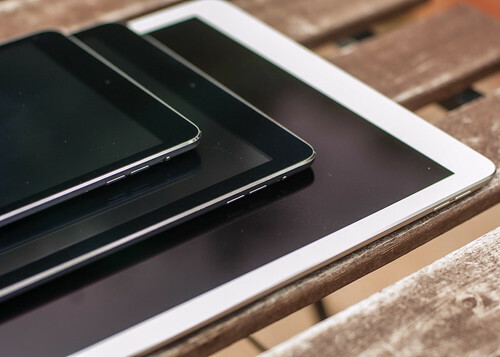 In a number of ways, the iPad is preferable – particularly weight and connectivity. In only a couple of ways is it worse (the most notable being “lappability”). The big advantage these days is that if you trust your documents to iCloud, then moving between Mac and iPad isn’t a problem. (OK, for the chapters in the book that has been a mixture of iCloud – for the Pages edits of Word documents – and Dropbox, which is where Scrivener, which I used to write it originally, stores documents.) I was able to go straight to my iPad and have all the tools I needed. Let’s run through a few of those things. • writing my book: wait, you didn’t know I had a book coming out? Yes, in May – Cyber Wars, looking in detail at seven big hacking incidents: how and why they happened. You can order it on Amazon. (US, UK.) I wrote it in Scrivener, which is wonderful, and has an iOS as well as MacOS version. Documents and “projects” are synced via Dropbox, and it detects if you’ve done something in one place or the other and offers to sync them up. • editing book chapters: the publishers sent back chapters as Word documents with Track Changes. Import those to Pages (on the iPad), run through the Track Changes, export to Word documents (also in iCloud Drive) and send back. All lives in iCloud Drive, so will be available when (if?) the Mac revives. • writing articles for papers: this is generally easiest in Google Docs (because a lot of papers are on Google Apps). Weirdly, although Google will let you write things in Google Docs in Safari on MacOS, it absolutely won’t let you do that on Safari on the iPad, even if you request the desktop site. You have to use the app. This is the only case I’ve come across where you can’t do it on the site and have to use the app. • making and recording Skype calls for work. I don’t do any podcast recording (which I understand is still a problem on iPads, as Garageband fights with Skype), nor any video editing. But what I’m trying to do is “real work”, at least for me. It’s work that earns money, and isn’t that what we’re after? 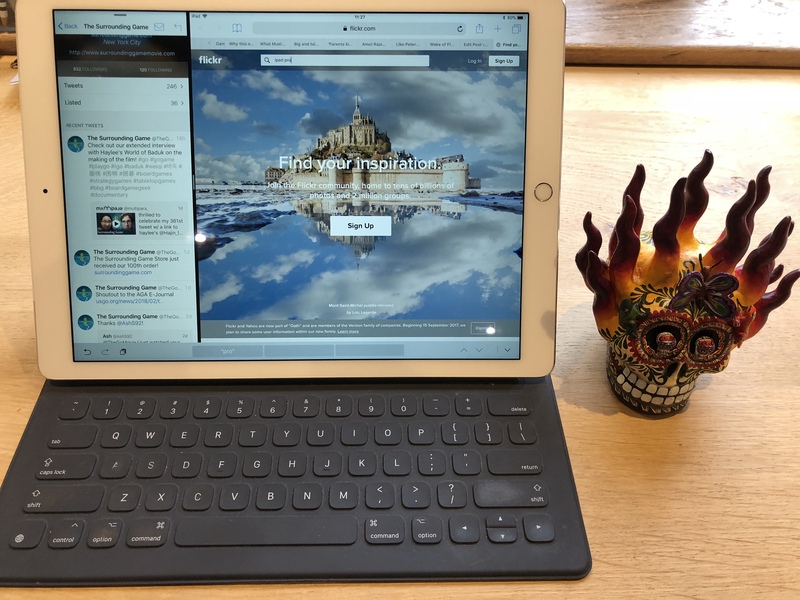 So a couple of weeks in, here’s what I find to be the good and the bad points of working full-time on an iPad to do things I used to do on a Mac laptop. • the weight. It’s so much lighter (even with the Smart Keyboard) than a laptop. Put it in a bag and go and you hardly know it; that’s a big difference compared to toting around the MacBook Pro (5.6lb, v 1.6lb for the iPad plus 0.75lb for the Smart Keyboard – so half the weight). • battery life. If it doesn’t last a couple of full days, then I’m disappointed and slightly surprised. Compare that with the laptop, where you’d expect to get a morning and an afternoon, and then be hunting for a power outlet. • connectivity. I’ve got a PAYG sim from Three, with 1GB of credit, and I use that if I find myself somewhere without Wi-Fi: just hook into the mobile network. Yes, I know you can do this by setting up a hotspot from your phone to your laptop, but being able to have the device do it on its own is far more satisfying. • focus. The iPad lets you work on two – max three – apps at once on the screen. If you tailor notifications correctly, you can get a lot done. So if I don’t want to be disturbed by email, then I don’t let it notify me, and I can go literally hours without being interrupted. (I don’t use email in the browser.) Then you go to your email and deal with it. Remember, you might think of it as “my inbox” but it’s actually composed of messages sent out of your control by other people. In general, “your” inbox is not under your control at all; it’s other peoples’ ideas of what you should do – a task manager compiled by other people. Not looking at email is good. • the keyboard. I really like the keyboard. The odd thing is that I don’t much like the keyboard on the new MacBooks/MacBook Pros, but the Smart Keyboard uses the exact same key design. The crucial difference is that the Smart Keyboard covers them in a layer of fabric, which has two huge advantages: it makes them much quieter (because oh my lord the bare keys are CLACKY), and it proofs them against the specks of dust which have been the downfall of recent designs. Double win. If they could make a MacBook with these keys covered in fabric they’d have solved their problems, but I’m guessing that there would be thermal dissipation problems with that – most laptops vent plenty of heat out of the gaps around the keys. • lack of keyboard shortcuts for one’s own scripts. On MacOS, I can use Keyboard Maestro (and some of Apple’s custom keyboard shortcut offerings) to create a keyboard shortcut to invoke scripts which do tasks such as adding text or HTML to a clipping. On iOS, there’s no such option. So I invoke the Share menu and Workflow a lot. • grab problems. Sometimes it’s difficult to select a chunk of text, especially if it goes past a photo on a page. • can’t grab inline image URLs. There isn’t a way that I can see on the iPad to find the URL to an image on a Safari page and directly copy that. It might be possible with a bit of scripting (input some text before and after the picture; script grabs the source, looks for image links between those words). Solution: presses on the image and choose “open in new tab” and grab the link from that tab. But it’s an extra step, and isn’t always available – take the example below from Techcrunch. An image on Techcrunch (though it happens on many sites). It’s not obvious that “copy” means “copy the image URL to the clipboard” rather than “copy the whole image to the clipboard”. • information density. If you compare the number of pixels on an iPad with those on a laptop, it doesn’t seem like that many more. But the action targets (the things you have to hit with the mouse) are way smaller on the laptop than on the iPad, where they’re larger because it must expect that people will only use their fingers to operate it – even if the Pencil is an option. Smaller targets and more pixels means a lot more space can be used for information. • miss having a newsreader. I use NetNewsWire on the Mac, which I’ve been using for about 15 years now. (It’s not as good as it was.) I know it’s available for iOS; I just hadn’t set up the synchronisation, so it would have been a big slog. • Mail needs work. Quite a bit to bring it up to speed. Though you can filter your inbox(es) by all/unread/flagged/has attachment/to me/cc me, there are no Smart Mailboxes (I can’t create a virtual inbox of messages with particular characteristics, or from a particular sender or domain or set of domains). I also want to be able to see more emails on the left-hand pane – if you get any appreciable number of emails per day, they’re going to overwhelm those you were previously dealing with, which screws up your workflow. 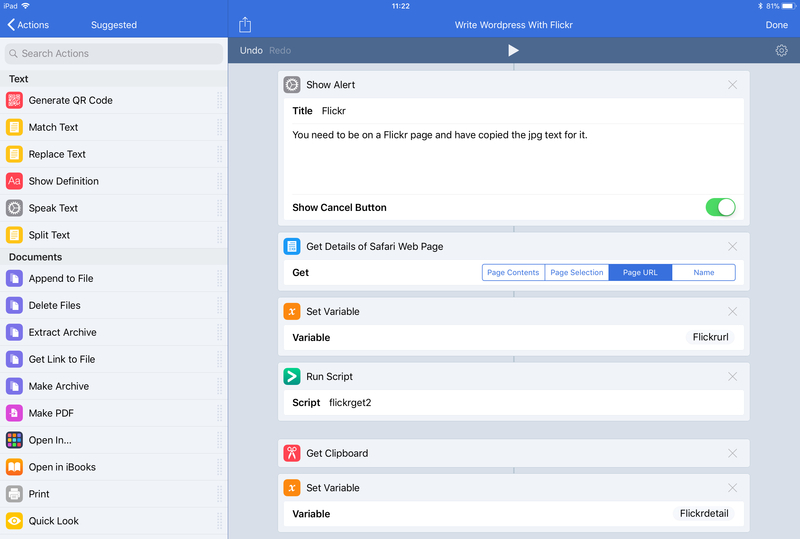 • I’d really like a good blogpost editor, ideally scriptable – basically, MarsEdit for iPad. MarsEdit is a wonderful blogpost writing/editing program which can deal with multiple blogs, and is also scriptable so that you can fire up a script and get things done. The WordPress app (in which I’m writing this) is OK, but not very intuitive. Although – as soon as I made this complaint to myself, I realised there might be a solution. And so there was, via Workflow (which can control WordPress – you can do pretty much everything up to scheduling the post) plus Python(ista). With a bit of finagling, I had a solution which did slightly more than the version I run on my Mac. In many ways, this post is like the real-life experience that I wrote about more as a theory in Benjamin Button moves from an iPad Pro to a MacBook Pro. But it’s reality. Necessity may be the mother of invention, but sometimes it’s just the mother of getting on and discovering what tools are actually available. I eventually got a Genius Bar appointment for the Mac. After a lot of to-ing and fro-ing (including a disk wipe that turned out to be unnecessary, but that’s for another post) the diagnosis was a problem with the NVidia video card – a known fault on my model. Weird that it took over five years to become calamitous, but that’s computers. In the meantime, I’ve got the iPad, and over the weekend wrote a combination Workflow/Pythonista script which automates almost the whole process of compiling and scheduling The Overspill. Of course, rather as we redefine artificial intelligence to be “anything that computers can’t yet do” (where the goalposts move from “beat humans at chess” to “beat humans at Go” to “be better than us at Where’s Waldo”), the definition of “real work” has probably moved so that, because everyone knows you can’t do “real work” on an iPad, it’s now all the things that I don’t or didn’t try to do – the podcasts and video editing. But you know what? It works for me. Plus it’s improved my Python. TL;DR: want to do pretty much everything you do on a Mac, but on an iPad? Get Workflow and Pythonista.